There are many stages of the awesome I'm currently planning for you. And, I thought it'd be nice if there was a FAQ (frequently asked questions) Page. And...uh...no one's asked me questions. Not frequently, at least. So...do y'all have any questions? 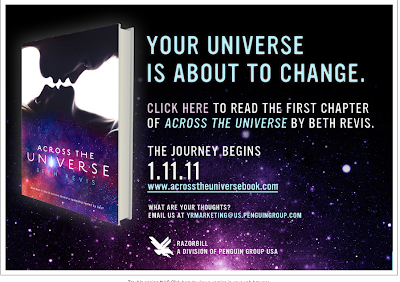 I have a feeling that ARCs of ACROSS THE UNIVERSE are going to be rare. Because...um...I don't even have my copies yet! 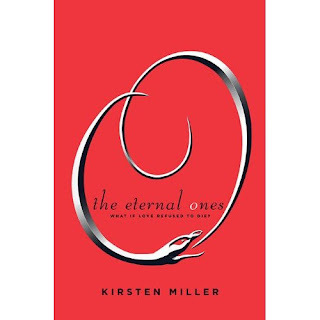 BUT if you'd like to enter for a chance to WIN a copy, PenguinTeen has set up a fan page for the book, and will be sending one commenter a copy of an ARC! If you subscribe to Publishers Weekly...you might have gotten this is your inbox. It's happening. It's all really happening. 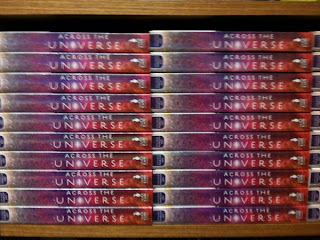 ARCs are currently flying through the air towards me, some readers already have ARCs. Evidence of this: is here and here. The cover is made and out. Preorders are open. I have a webpage just for the book, and my first chapter is online. In short: this is, apparently, all real. And now that it's all finally starting to sink in that it's real...the disbelief has been replaced with gratitude. For reading this blog for years, for telling me I shouldn't give up, for giving me confidence when you commented on my posts or followed this blog. For joining the conversation on Twitter, for sending me @replies filled with happiness and joy, for passing the word about my book, for being as excited as me. For understanding my need for a Facebook page instead of a profile, for "liking" me and liking me, for jumping into it and commenting and spreading the word. For following me along on other adventures, like the League of Extraordinary Writers, crit sessions, fantasy fantasy baseball leagues, Music Mondays, and nerdy art interpretations. For being with me on this crazy ride!!! It makes me feel like a tool, but I've decided to close my Facebook Profile to only people I know in real life and/or have significant connections to online. There are a lot of my former students on my profile now, and I feel weird mixing my private life and public life in that way. Also: this. I'm keeping Twitter, GoodReads, and this blog open to everyone--I just want to shut down my Facebook profile since students are tagging me and writing to me, and since I'm getting an increase of friend requests from people I don't really know that well. So, if you'd like to keep up with me on Facebook, I've made a Page here that will be open to the whole public. It would make me smile if you "liked" me. I'm a little scared everyone will mock me for being so pretentious. Over at the League, we're discussing what we think's going to happen in MOCKINGJAY. Go over there and vote on who you think Katniss will be with, who you think will die, and the most important question of all: what happened to Cinna! Wow! You guys must have realllllly wanted this one!!! We have very nearly 500 entries in this, when you added in all the extras. 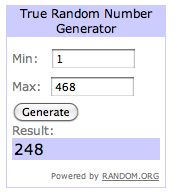 Congratulations, Bev, and thank you to everyone who entered!! Hey guys! No post today...instead, I was writing for The Spectacle! Click here to read about why I think dystopia is so popular now (besides, yanno, MOCKINGJAY). I have noticed lately that people tend to hate spiders. And I can sympathize--while I allow spiders in my house, they have to stick to the ceiling and out of my stuff, and woe betide them if they start crawling on me. But while I like to keep a bit of distance between myself and spiders, I have to admit that I love the little things. There are lots of little things that led me to like spiders. I've always been a fan of the famous Robert the Bruce story, where he saw a spider weaving a web during a storm. The spider's web was dismantled several times, but it didn't give up--so Robert didn't give up in his own war with the English. But there are other reasons why I love spiders. They've come to mean a sort of serendipitous sign to me, a "have faith" sign. While I'm not really superstitious, I do (to steal from Rowling) follow the spiders. I've made big decisions based on spiders: renting one house over another because one had a spider; taking a chance when I was afraid because I noticed a web; things like that. But people who know me are always very surprised when I don't let them stomp a spider, and would be even more surprised to learn that I made important decisions because I saw one. And I was thinking about how, if I were in a story, this tiny detail of my life would probably never make it onto the pages. It's minor--I just happen to like spiders the way pre-teens like dolphins or unicorns. Still, it's a part of me. It's part of what separates me from everyone else, especially all you arachnaphobes. And it's the little things like that that always remind me that it's important to include the little details of a character's quirks into the story. 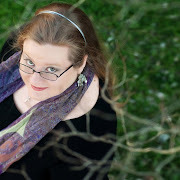 You can find Michelle online at: her website, her blog, the Literary Lab blog, and the Facebook Fanpage for CINDERS. Can you give us a quick summary of what CINDERS is about? CINDERS is Cinderella's story after she gets married. Nothing is turning out like she expected, and she's starting to remember a stranger she fell in love with years earlier. Her fairy godmother is imprisoned in the castle, and she's left on her own to discover true love untainted by magic. Your other work has been contemporary. What made you decide to write fantasy instead? My daughter kept watching Disney movies over and over. Cinderella was one of them, and the idea for CINDERS just popped into my head. I originally wrote it as a flash fiction piece (just the first tiny section of the book), but then I kept getting story ideas and finally expanded it into an outline and eventually the novella. I find it interesting you chose to tell the story of AFTER Cinderella got her prince. Why did you start the story there, instead of earlier? You do use flashbacks to show some of Cinderella's past--why did you feel this was better than starting the story sooner? I like to turn things inside out, and I get bored and frustrated with fairy tales all about getting the prince - and then they just end. I knew I didn't want to write a long complicated novel, so telling a very simple story about what happens after the wedding seemed really exciting to me. One of my very favorite quotes comes from the movie, MISS AUSTEN REGRETS: "All the interesting stuff happens after the wedding." In the end, Cinderella's happily ever after isn't that happy. If you could have your readers walk away with only one message or emotion from your story, what would it be? CINDERS is, in every sense of storytelling terms, a tragedy. I was honestly afraid people would not react well to the story even though it ends on a positive note. However, many tragic stories stay with us longer than happy ones, and that's what I wanted to do with CINDERS. The message of CINDERS is about asking ourselves what love is and what it means to us - how much we will sacrifice to get it, and whether or not that sacrifice is at the very center of love to begin with. On your blog, you talk about other WIPs that you've worked on. 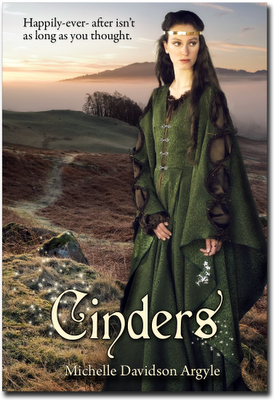 What made you decide that CINDERS was the book you wanted to publish versus your other works? This is a great question! I've written 4 novels, total, CINDERS being the fourth. 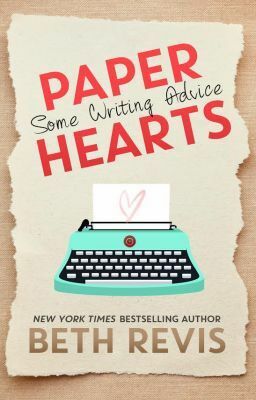 I think each novel has taught me some valuable lessons in writing, and by the time I reached CINDERS I felt confident enough to write it just for me. I wrote CINDERS with the specific intent to self-publish it, and that seems to have made all the difference in my writing. Everything about this experience has given me the courage I need to pursue any publishing path. Did you try for traditional publishing with CINDERS, or did you go straight to self-publishing? Can you take us through your thought-processing on the production of CINDERS? As I said earlier, I wrote CINDERS specifically to self-publish it. In fact, when I decided to expand from a flash fiction story to a novella, I intended it to be part of a project for the Literary Lab. Scott, Davin, and I are planning on self-publishing a collection of three novellas just for fun. I mean, what else do you do with a novella? Most traditional publishers won't even look at them unless you're already published. Small presses might, but we each thought it would be fun to put the novella ideas we had to some use. However, when I was halfway through CINDERS I realized that I wanted to sell it on its own instead of part of a collection. No worries, though. I have another novella/novelette in progress for the collection. Hmmm, numbers. I'm always hesitant to talk numbers in a public setting, but I'll share a little bit here. 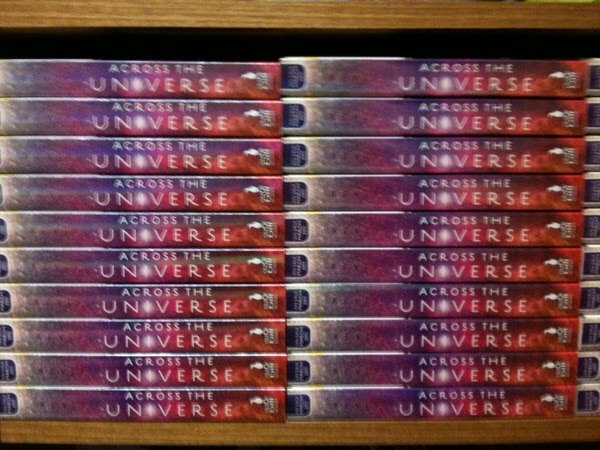 I initially ordered 100 print copies of the novella, and then realized that would not be enough and ordered 25 more copies. Out of these 125, I've sold most of them either directly through my author site or as presold copies for my release party on the 21st of August.This does not include what I've sold online through Amazon and Smashwords. I've also sent out free copies to reviewers, as well as free copies for giveaways. I read in my research at one point that giving away copies is generally a good idea, and with my marketing strategy it looks like it is working well so far. CINDERS cost me a bit of money to publish - not through the POD publisher, but on my own terms. The cover cost almost $300 because of the dress and props and the purchased background. I've had bookmarks and business cards, and I've had to cover the cost of all the free copies I've given away. I will have to pay for food at my release party, and shipping alone has cost a fair amount of money for supplies and postage. All in all, though, I have broken even and made a little extra money so far. I expect to keep making sales, especially ebook sales, and even if I don't get rich or sell over a 1,000 copies, I'm still thrilled with the entire process! Do you ever want to seek traditional publishing, or has this experience made you favor self-publication exclusively? What are your ultimate goals as an author? I wouldn't trade this experience for anything, even an agent and a publishing contract. Seriously. I wouldn't. I've learned way too much, and it definitely suited this project well. One of the reasons I wanted to self-publish is because many readers of the Literary Lab ask us about self-publishing. As you stated above, there is a huge stigma against self-publishing, and I really wanted to be able to answer reader's questions with actual experience backing me up. In a way, it has been an experiment. I think self-publishing is fantastic for certain projects and certain people. It has its place, as does traditional publishing. There are pros and cons to both, and neither one comes without a lot of work and dedication and talent. As for my publishing future, I am currently planning on self-publishing two more novellas that go hand-in-hand with CINDERS, but I also plan on publishing some of my novels traditionally , either with an agent and a large publisher or a small press. One thing that really impressed me with CINDERS was the beautiful cover design, and the matching marketing materials--the same model is used with the trailer and your bookmarks. Could you tell us a little about the production of the cover and these materials? One of the reasons I feel self-publishing works for me is because I happen to be a photographer as well as a writer. This means I can create my own cover all by myself and have it be as professional as any traditionally published book covers. I strongly believe any self-published author should put some serious effort and/or money into their book cover. It says a lot about how you feel about your work. You can either purchase professional photos from stock sites, hire a photographer and designer, or do the work yourself if you're able. Melissa Zenandrea-Tice is the model featured on the cover, and she was kind enough to volunteer not only herself, but her talents as a seamstress. She made the dress herself! Yes, I know, amazing. It was a lot of fun to go shopping for the material, watch her make the dress, and do the cover shoot. Every step of the way I kept thinking "WOW, I could never get this any other way besides self-publishing." Being in complete creative control has been thrilling! When all is said and done, even if CINDERS had only sold 10 copies, I'd still be happy with what I've accomplished. Self-published works usually always remain small in selling numbers, and I think that can be a great thing. I feel much more able to send out queries and manuscripts to publishers and agents. I feel more confident in writing stories without worrying what others will think. If we as writers stay true to ourselves and ideas, amazing things will happen no matter how we decide to get our work out there. Anna Staniszewski is running a series on her blog that is just genius: she's asking writers to write a letter to their younger selves. 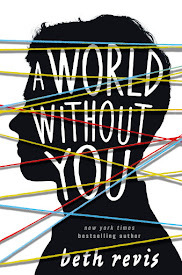 Elana Johnson's letter to herself kicked off the series, followed by YA author Brian Yansky's letter to himself. I...um...I'm actually really proud of how it turned out. I started out writing something really silly and cutesy, but then I scraped that and wrote the truth, and it turned out much better. I love a man who loves grammar. The first, "Goblin Fruit" has a fantastic end. Just brilliant. It's the kind of end where the main character turns the wrong decision into the right one. LIPS TOUCH: THREE TIMES is out now and was a finalist for a National Book Award. 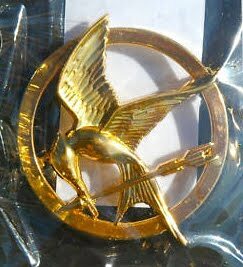 Win a Copy of Mockingjay + a Mockingjay Pin! So...I've got my hands on something kinda cool. Not one of those cheapo-buttons with the mockingjay image printed on it. Nope. One of the gold-colored metal pins that Scholastic gave out only with bookclub pre-orders for a limited time. And I want to give it to you. Along with a copy of MOCKINGJAY. This IS open internationally. But please give me time for the preordered book to come first to me, then shipped out to you. 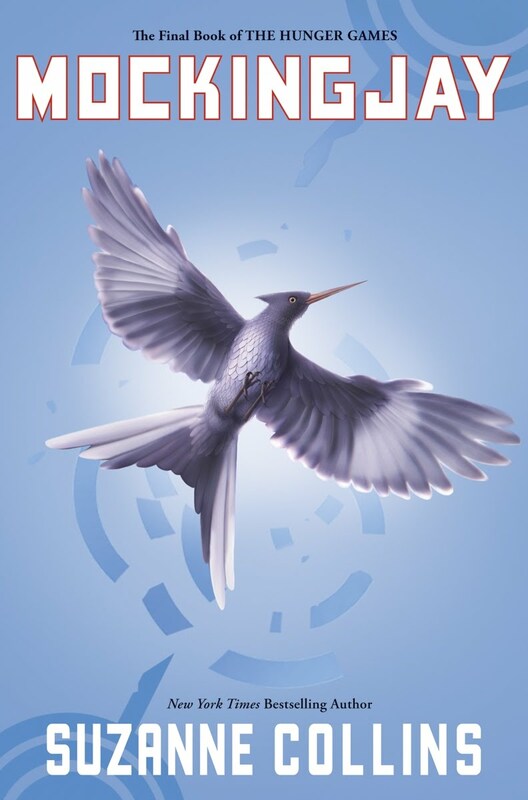 Also, I'd like to feature some of my writing friends who are also excited about MOCKINGJAY--so, if you'd like to follow me and my fellow League Writers (who are also giving away pre-orders of MOCKINGJAY, so enter to win there, too!) or go vote in the YA Fantasy Showdown that opens up August 10, I'll give you extra entries! Kelsey, the Book Scout, just did an interview with me about ACROSS THE UNIVERSE. Click here if you'd like to find out the secret behind one of my character's origins (hint: it involves students and fish). Let There Be Fighting: YA Fantasy Showdown! 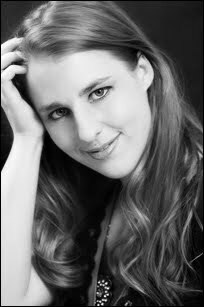 OK, so you guys know the super-awesome-amazing Heather? She had a great idea a while ago. 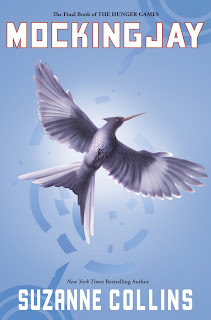 In celebration of MOCKINGJAY, the most anticipated book of the summer, Heather has created an entire website where she's pitting all the best YA fantasy characters against each other in a giant arena (sound familiar?) and YOU get to vote on who makes it on to the next round in the ultimate showdown against Katniss herself!! 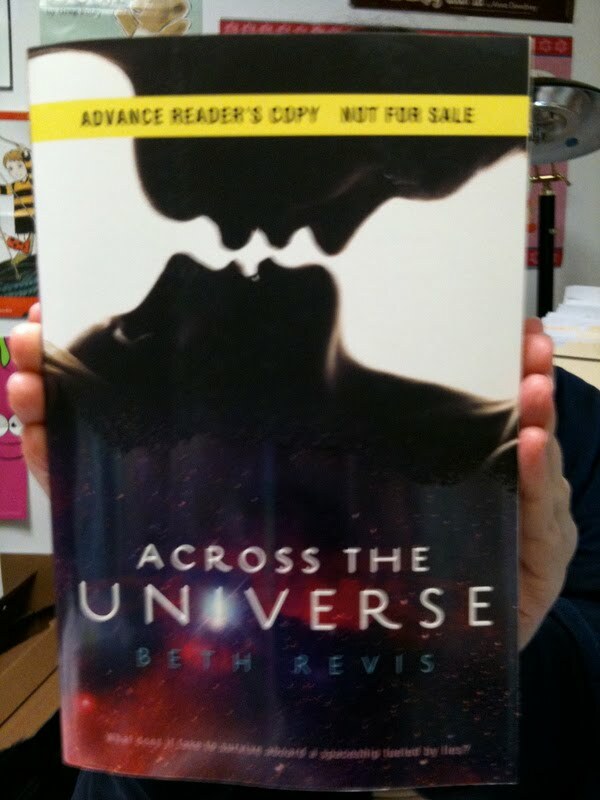 Look, guys, I've had a sneak peek of this awesome and...wow. Seriously. The official website of the showdown is here, and it will go live on August 10th. And speaking of things going live on August 10th...there's going to be an announcement of a contest HERE, tomorrow. And it DOES involve Mockingjay...and it involves something else. HERE IS A HINT ABOUT THE CONTEST FOR TOMORROW!!! I have very strong beliefs in both my religion and my area (don't mess up the South with your stereotypes, y'all), and this book offended neither of them. I was worried for a bit--but the negativity was more about one particular church instead of the entire Christian religion, and (coming from the South) I can understand that. Did you like the pace and romance of TWILIGHT, but not necessarily the vampires and/or werewolves and/or lack of female lead development? 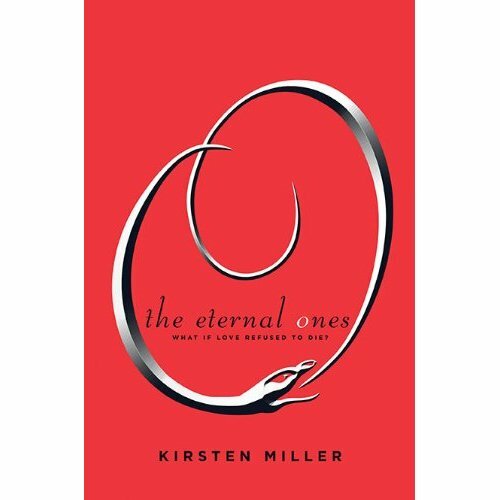 Then you'll like THE ETERNAL ONES--it has all the romance, but no paranormal creatures, and the main character has a backbone. Er. These aren't very bullet-y...more like looooong sentences chopped up with bullets. The book's 400+ pages long, but reads really quickly--tight pacing and cliffhanger chapters. The main idea of the book is that reincarnation--and therefore past lives--are real. The premise is so well researched and backed up and logical that I very nearly started believing in it, too. There's a gay character who's important, but his gayness isn't central to the plot. This is nice. By which I mean--the plot's not about a gay guy, it just has a gay guy in the story; which is realistic and the level of realism needed in modern literature. I'm butchering this. Y'all get what I'm saying? The main character has few friends, is somewhat of a social outcast, hates school, etc....and then she leaves high school. On her own. And moves out of the town that hates her. See? I told you she had a backbone. Hurray for doing something instead of whining for 400 pages! Scott Tracey on the art of non-promotion. What he said. Nathan Fillion on the art of making an epic hero. What he said. A quick post because I'm busy running around like a chicken with my head cut off. OMG SO MUCH TO DO SO MUCH SO MUCH *slaps self* Thanks, I needed that. Anyway--what do you guys use to write? I'm in the laptop market, and it's got me thinking about the best tools of the trade. A legal notepad and a good pen (like a fine point Sharpie) to write out scenes and notes. I don't outline, but I will sketch out a few ideas in advance that I know I want to go in the ms.
A computer, preferably a laptop, preferably a Mac. <--That's what I'm getting Saturday. Life will be better then. Scrivener. THE BEST WRITING SOFTWARE EVAR. *cough* Maybe I'm opinionated. Music: usually 2-3 upbeat or emotional songs that I play on constant repeat. I don't even listen to them, just the beat. I don't focus on the sounds, but I hate working in silence. A really loud, clacky keyboard. None of these smooth, silent keys for me. Internets. I check out twitter or blogs between scenes. A drink--either Sprite Zero or coffee, typically. What about you? What are your indispensable tools of the trade? Mac or PC? Notebook, notecards, Post-Its, or computer screen? Coffee or Twizzlers?